Why Is FFA Relevant For Our Future? It is National FFA Week. If that means nothing to you, I understand. You can read what I share about Cows Are Not Required: 7 Reasons Why Your Kids Should Participate in FFA. For a majority of my life, FFA meant nothing to me either. But why is FFA relevant to you, to me and to our future? I am going to share why I think it is relevant. You can decide for yourself. Around a decade ago, FFA wasn’t on my radar. I did not know a lot about the blue jackets. My high school didn’t have the program. I only knew a few cowboys that wore Wrangler jeans and cowboy boots that once in a while had their blue jackets on. I thought it was something like 4-H but primarily involved showing livestock and projects for the state fair. But then, I was working on agriculture clients at an advertising agency in Fargo, North Dakota and was asked to be a judge at the State FFA Convention in North Dakota. That was my FFA awakening I suppose. Suddenly, I was exposed to the most well-spoken, prepared high school students I had ever met. I judged an agriculture communications contest. The top teams were made up of kids I wanted to hire as interns. They were stars. By 2007, we had moved to rural North Dakota, desolate and far from the lights of Fargo or any major town. Before our small-town rental house was ready for us to move into, we stayed in my in-laws basement. I remember opening up the closet to hang some of my clothes. There were three blue jackets hanging in dry cleaning bags, all with my husband’s name on them. My husband, Nathan, started walking me through the impact of the blue jacket, his FFA jacket, and what the program had done for his confidence as a junior high student and then through high school. One of Nathan’s jackets said “National Band” on it. Who would have thought you could be in FFA and be in band? But I married a band boy and not only was he in the National FFA Band, band help pay his college tuition. Our son, Hunter, was just going into fourth grade at the time but I knew then, FFA could play a role in his life now that we were in Nathan’s hometown, Wishek. Our prairie town of Wishek held a gem I wasn’t aware of until my husband had shared stories with me about his blue FFA jackets. Wishek had a history of an outstanding FFA program. We later learned it was now being led by a new agriculture education teacher, Mr. Brown, who had passion and dedication to build an even stronger program. Fast forward a few years, Hunter wasn’t interested in FFA in seventh grade. I didn’t push it. He needed to find his own path. He wanted to be an engineer, he said. Then he made his small town science fair debut. He saw the connection some projects had to agriculture and engineering. It was an “ah ha” moment for Hunter. He told me “I can do Science Fair and FFA, together.” And that is just what he did. Our science teacher working together with our agriculture teacher connected Hunter to FFA. It wasn’t cows like people hearing FFA or Future Farmers of America might think. Although, believe me, we love cows. What I have learned is that FFA is relevant to many for an array of reasons. It might be for livestock judging. It might be science. It might be just for the relationships, the experiences, the discipline. 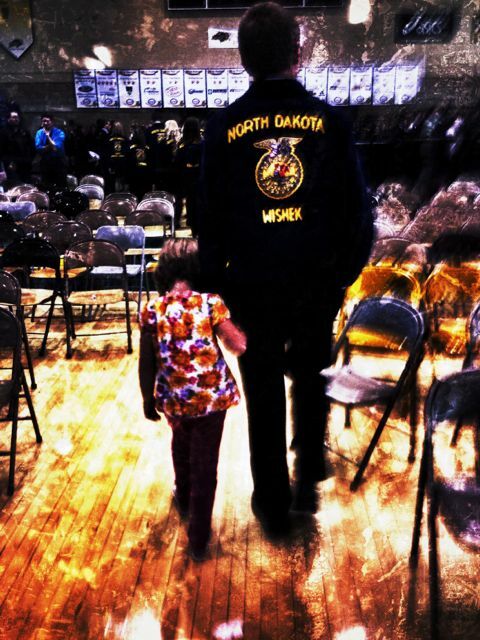 FFA can take kids as far as they want to go and are willing to work for. FFA is relevant because whether your child or grandchild wants to be an engineer, a doctor, a business owner or a farmer, they need a foundation of leadership skills. I have not seen any other program that teaches and prepares kids for success as leaders than FFA. From rigorous practice schedules that lead to a huge choice of teams and contests (I believe our school does around 16 contests), kids develop organizational, writing, speaking, math and science skills along with a deep passion for agriculture. As a volunteer in our local FFA program, I have seen first-hand kids not from farms develop skills that are leading them into careers that will benefit our communities and our country because of FFA. They aren’t all going to be farmers. But they are going to be advocating for agriculture in whatever they do. They are our future leaders. At times, the world and our future is a scary place. But when I see FFA kids shining, I am at ease. We are laying the foundation of a dynamic generation to lead with FFA. He said, “Losing at National FFA was the worst. Ever. But it made me better. I am better for it. I am going to win more, in life, because I learned how hard it is to lose and how prepare to win.” Hunter didn’t achieve his goals last fall at National FFA. He lost but tomorrow night he will play in his basketball team’s district tournament. The boys have to win to continue their season. FFA has helped prepare Hunter to win and to lose, no matter the circumstances, no matter the location. FFA Day and then FFA Week dates back to a history from the 1930’s and 1940’s. But today, FFA is relevant in rural North Dakota, building leadership in a next generation in our family and across the USA. For that, I am thankful. Has FFA played a role in your life? How is it relevant to you? <3 this! Teaching ag has been the most rewarding experience of my life! Thank you Ashley! I have a huge respect and appreciation for agriculture teachers. Thanks for all you do! Thanks for sharing your FFA story! It is inspiring and important! FFA has played a huge role in my life as well! The power of the blue jacket! Thank you Tricia. There is definitely power in the blue jacket! Thank you so much for writing this. It’s a common misconception that FFA is only for farm kids, when if fact we are an organization open to anyone who wants to make a positive impact on their life, community and the world. Thanks again and Happy FFA Week!! Thank you Emma! I agree there are misconceptions but I believe more kids are learning the benefits of the FFA program and seeing it is not just for farmers and farm kids! Keep sharing and doing great things! I absolutely love this article! FFA is more than cows and plows! In fact, my prepared public speech on the importance of FFA and Ag. Leadership got me first place in chapter, region, and I was honored to participated in state! (but that was, um, a while ago) This many years later I still have the skills it takes to be a leader. And I’ll always have a little blue and gold in my blood! Way to go Sarah! Definitely more than cows and plows. Although like I said, we do love cows…and plows for that matter. Keep sharing your blue and gold pride and stories! Thanks again. Sarah, congratulations on making it to state. We are so passionate about FFA. I’m really interested in learning more about your speech on the importance of FFA. My son is preparing his speech this year on the same topic. He did one last year but didn’t make it past regionals. Got any advice? FFA had a big impact on my life. I did both Prepared Public Speaking and Extemp. It gave me the confidence to go into radio and do news and sports. I judged soils and there have been many times that knowledge has helped me in my adult life. There is nothing else in high school that comes close to matching the benefits a student can receive from being a part of the FFA. Thank you Dale! FFA preparation can lead to so many careers. I love this. Been a huge supporter of FFA for my entire life, and while I know it has helped countless individuals, it’s always great to hear someone else’s experiences. Thanks! Thanks for reading Andrew! I appreciate it. Was such a nice story of you, your family, and son. I am in my sophomore year of high school and joined ffa in 8th grade. I love it now that I do things along with it.Unfortunately though, I am unable to participate in any competitions because I cannot afford to buy myself a jacket. So I have to just stick with regular after school meetings or activities. Contact me by email if you would like to talk. Elyce I was wondering if you have a FFA Alumni Chapter at your school? The reason I was asking is we have one at our School and one of the things they have done in the years past is to provide Scholarships for FFA Members. It might be for a FFA Jacket or help going to WLC, State CDE Expenses or National Convention. If not, I am Sure if you would talk to your Ag Advisor and let the Advisor know that you want one but don’t have the money for it, they might be able to fix you up with a local Sponsor. … Good Luck and I Sure Wish You Much Success. Elyce,I emailed you for more information and shared about FFA Alumni and FFA Foundations that provide scholarships and grants towards FFA jacket purchases. Thank you for your comment. Elyce, it may be as easy as contacting a recent graduate and borrowing their jacket. Perhaps the chapter could do some fund raising to have a few spare jackets in the future? There is also a program offered by the National FFA Foundation called “Give the Gift of Blue”. You can go online and apply for a free jacket. The program is designed specifically for students exactly like YOU. All you need to do is log in to your Agricultural Career Network (AgCN) account on the FFA website. If you don’t know about the AgCN, ask your instructor how to get an account. If your instructor isn’t familiar with it, please email me at lgossen@ffa.org and I will be happy to give your instructor more information. Good luck. Thanks so much, I will look into it. I was in the National FFA Band this year and it has been the activity in FFA that has impacted me the most. Besides being at the National Convention and learning more about agriculture and practicing your instrument the people you meet from all over the country is a real eye-opener. Being only a senior in high school, it was a great experience to meet and become friends with people from many different backgrounds and places. Carrie, thank you! My husband’s FFA band experienced changed his life for the better, opening his eyes to a bigger world like you have seen. All the best to you in the future! I just want to give you a big hug. THANK YOU for your supportive words. I am so thankful for teachers and of course ag teachers! Thank you. LOVE LOVE LOVE this post! I am a senior in high school and FFA is my life. It’s soooo nice to hear people telling the truth about FFA and what it does for the youth of today. I cannot count how many times I have heard people say that FFA is only for farm kids and only teaches about farming. FFA has given me self confidence, life skills, leadership skills, public speaking skills, and countless other things. Thank you so much for posting this and for you support of the best organization on the planet! Thank you Candace! I believe the skills you highlighted will be a tremendous foundation for your future success. All the best! As an FFA parent – I wish EVERY administrator could read and believe these words. “AG” is often the first place thought of for budget cuts. I personally think every student should be required to take a basic ag class. It’s shameful how many people (adults included) do not know where their food comes from. My daughter (now a sophomore in college) says she learned more to help her prepare for college from FFA than any other activity she participated in during high school. I appreciate how you related ag to other occupations besides farming. There is a whole world of opportunity out there – and it all starts with some kind of agriculture. FFA is an outstanding organization. There you will find the most hard-working, compassionate, generous, well behaved youth in our nation. Thanks for this great article. Sheila, thank you. I agree everyone taking one basic agriculture class would change our culture for the better. FFA is truly an outstanding organization. I appreciate your kind words. Thanks again. I am a former president of a local FFA Alumni, and was honored to serve as the President of the State FFA Alumni Association for a few years. My background with FFA started on an Alumni level. I had the opportunity to work with a super group of Alumni, all focused on the mission of providing direction and resources for our local FFA Chapter. My Ahha moment came when I was invited to travel to Louisville for the National Convention. I remember telling my parents that I get to spend a week with 50,000 teenagers! Upon arrival it was nothing like I could ever imagine. I have often proclaimed my only regret is that I never had the honor or pleasure of wearing a blue jacket. There are so many stories I can remember of how the kids (and instructors) worked to promote the ideals and mission of FFA. Awesome story! Thanks for sharing. My first national convention was also as an adult and I also was so awe inspired at the experience. Keep up your great FFA Alumni work! Thanks for all you do. FFA opened so many doors for me. I come from a small town, but had no ag background, yet the FFA welcomed me with open arms and a smile. I attribute much of my success as an adult to lessons learned in FFA — like how to win (and lose) graciously, how to speak to a crowd without losing my cool, and above all that a positive, dedicated work ethic is one of the most important attributes a person can bring to a team, whether it’s in the military, a huge corporation, or a small business. Work hard, play hard and enjoy life! Emily, thank you! Your words of a “positive, dedicated work ethic” inspire me! Wonderfully written. I have been on both sides of the blue jacket, both as a member and and now AST and advisor. I think I appreciate it more now as an advisor than I did as a member. My advisor didn’t push the leadership aspect; he was a shop guy. But that experience led me to recognize what I needed to do to be the best AST I can be, and there isn’t an hour in any day that I don’t have some aspect of FFA crossing my mind. To read this, I was taking a break from going over record books in preparation for students needing to receive their state degrees, while sitting in a hotel room at a major stock show here in Texas. FFA has given me the large family I always wanted; one child by blood and dozens more by choice. I am fiercely protective of “my kids” and continue to mentor them even through college and their first jobs. Brian, I love your honest words. Thank you for sharing. “One child by blood and dozens more by choice.” Thanks for all you do! I too am a FFA mom. 4 of my children have had amazing, life changing experiences because of their time in this organization. They all served in many positions in the leadership of our chapter. Two of them were chapter presidents and our youngest was the Utah state president 2012-2013. In fourth grade she was afraid to speak loud enough for her teacher to hear her. I am still amazed that with the tools she she was given in FFA she was able to speak and lead with poise and strength. All of my children gained more than an appreciation and support for agriculture, like your son they learned life skills that will benefit them for their entire lives I hope our grandchildren will follow in the boots of their parents and grandpa proudly wear those blue jackets. Shelly, thanks for your comment! 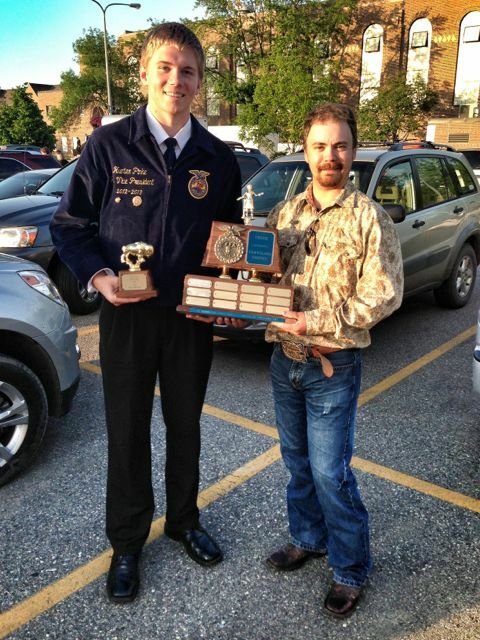 I love reading about your kids’ success in FFA and family tradition with it. Your daughter’s story is so empowering! Thanks for reading my post and sharing your experiences. 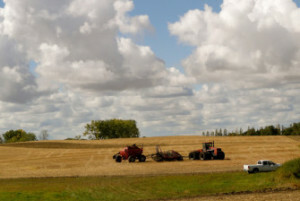 Without farmers, we have no food. By the way, “FFA” is acronym for Future Farmers of America – a small point omitted (annoyingly) from this very good article. I agree with the FFA’s mission and goals moving forward into the future for farmers, for our food supply and for all the other career choices kids will have from their FFA experience. FFA hasn’t been future farmers of america since 1988 because FFA is more than just farming. Now it just stands for FFA a symbol for Agriculture. Thanks for your comment Cody! To me regardless of a name, the program stands for more than farming like you said. FFA was relevant to me in Randolph County, NC(home of the NC Zoo). I knew from the time I knew what FFA was that I wanted to be involved with it in high school but then a new high school was built and I had to attend that and I worried they wouldn’t have an FFA chapter but God is good and there was one. I discovered my passion for Agriculture and became passionate about educating people in it because their is so much need, so many misconceptions, and even people who believe it’s irrelevant in today’s world. But I also learned valuable leadership skills, how to work on a team, and I also had the opportunity(plenty of them really) to learn about agriculture outside of the classroom and learn about subjects that weren’t taught at my school. FFA helped to shape me into the person I am today. My name is Tanner Bolton. I’m from Amarillo, Texas and leadership coordinator of the Canyon FFA chapter. As a four year member I’ve witnessed in myself and other members the impact FFA can have on students. The diversity of the program provides opportunities for every single student, and allows many of them to grow into amazing public speakers and agricultural major students. I follow you on instagram but only now have I read your blog! Thank you for giving insight to FFA from a non-FFA alum’s perspective! It has shaped so many people, including myself. I can really identify with your son, as we just went to Nationals last year for judging dairy cattle. It truly helps students in SO many ways! Thank you for writing this awesome post! I was in National FFA Band for two years! Baritone. I was able to play in a 100-piece band, and coming from a 24-piece band, that was huge. Also had a duet front and center and appeared on RFD. We still have the video of it : ) I loved how two of my passions, agriculture and music, could combine, and that FFA recognizes the importance of the arts, even with the focus on so many STEM areas. I am now 53 years old and was a state officer in Kentucky 80-81.although it has been a long time since I wore the blue jacket there is not a week goes by that somewhere during the week that lessons learned through the FFA help me at my job as a salesman for John Deere.This continues to be the best organization that a person can be involved with.Great article! Could your husband give advice on Chapter Officer Interviews?? Last year from interviews, I was elected Junior Historian. Now, this year I want to try and actually hold that position. Seeing kids that were elected because of who they were and how well they were liked. I want to blow the judges out of the water and become an official chapter officer. Any advice to help me?? I’m one semester away at Texas A&M from student teaching ag ed. I only hope that I have parents that are as wonderful and understand the impact of FFA like you have! Thank you for helping with spreading the word!